Check out this article in the journal Mycologia for the latest in North American morel taxonomy. Growing in a pile of woody debris and leaves in the corner of a parking lot. 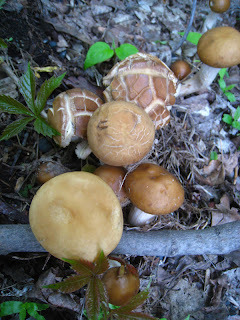 I like this picture because it shows the same mushroom in different stages of growth. A few days later I found some that had caps 4 inches in diameter, and stalks 8 inches long, about the maximum for this species group. 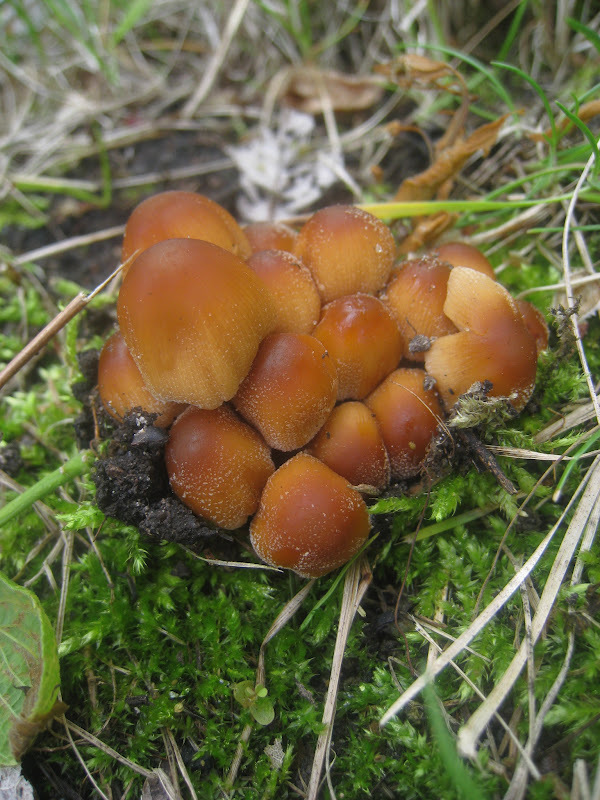 Read here for more on why the Spring Agrocybe is a species cluster (it's interesting, and makes me think about observation, and howmuch more is going on than we can see). With all of the rain, it seems that Inky Caps are everywhere. I've never paid much attention to them before. I think it's time I start. Also extremely common, especially on elm stumps it seems (not that I've been looking at elm stumps mind you). Similar to the Velvet Foot, but with a ring zone on the stalk (not always easy to see), and a brown spore print (instead of white). i've found it on fallen logs, while the Velvet Foot seems to prefer stumps. Both with white spore prints, the first on the ground, the second on a stick.